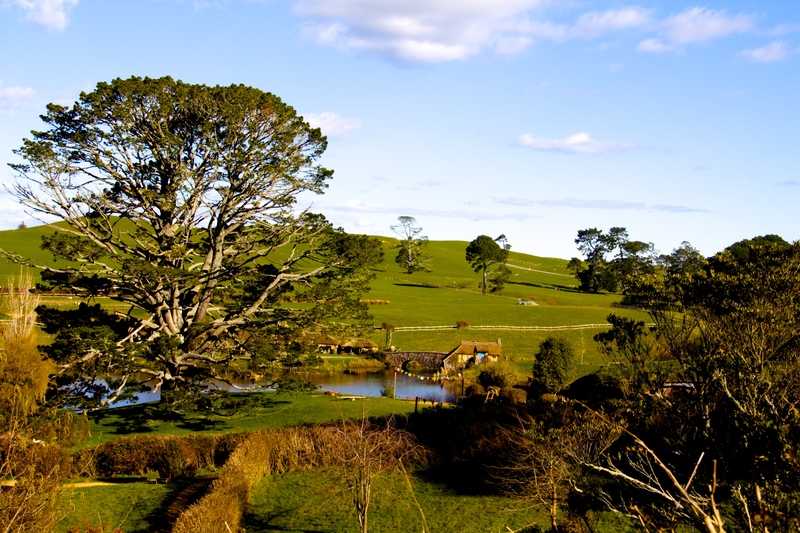 Years before a trip to New Zealand was in the cards for me, I knew that I wanted to go explore the now-preserved movie set depicting The Shire, or the place where Hobbits live, in the Lord of the Rings and Hobbit trilogies. 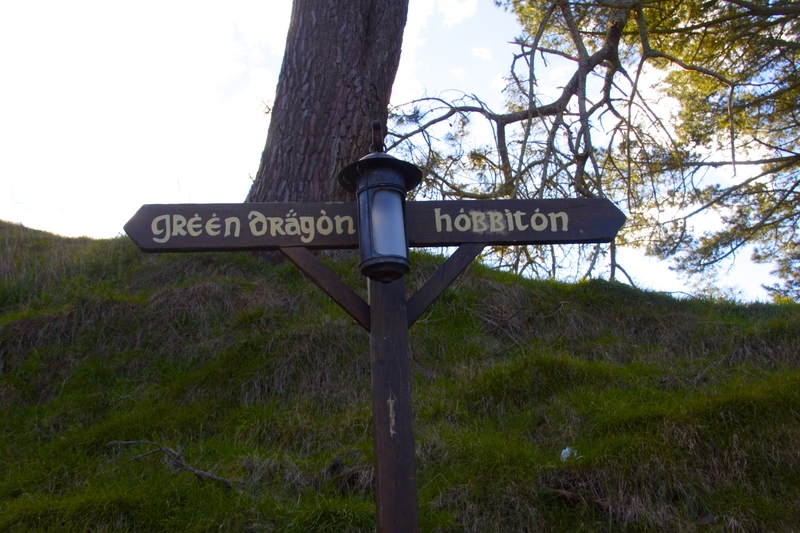 I was always a big Lord of the Rings fan as a kid, and getting to explore the Shire and have a drink at the Green Dragon was basically my nerdy dream come true. I wasn’t dedicated enough to put together a costume for the affair, but a surprising number of people did! My trip to Hobbiton started in Rotorua, where I was staying for a couple of nights at a hostel called Crash Palace, which I highly recommend. I booked my tour at reception and was told they were going to come at 1:10 to pick me up. Unfortunately, I thought they’d said 1:30 and missed my bus, but the driver was amazing and came back around for me on his way out of town (even though this definitely made me feel like “that girl,” but it was nice that I was able to go to Hobbiton on my planned tour all the same). The drive to Hobbiton was about 45 minutes long, so I got a quick nap in on the way there. When we arrived, we reassembled our tour group and were introduced formally to our guide, who told us all about the history of the set and some little notes and anecdotes about the set throughout the filming experience. We ambled along the dirt paths around the clusters of hobbit holes for a little while, learning about the props, which have all become permanent fixtures of the Hobbiton-area experience. 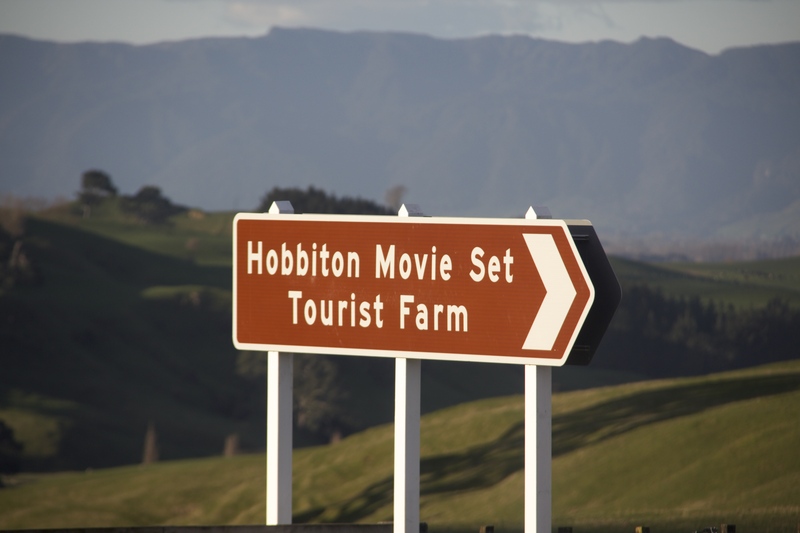 The set has been built and re-built multiple times; Peter Jackson is something of a perfectionist, and it definitely shows! The first time the set was dismantled was after the release of the final installment of the Lord of the Rings movies, and was put back into action in 2010, when the new Hobbit trilogy was in the works. The second re-build of the set took two years to complete, and Bag End was rebuilt several more times on top of that. 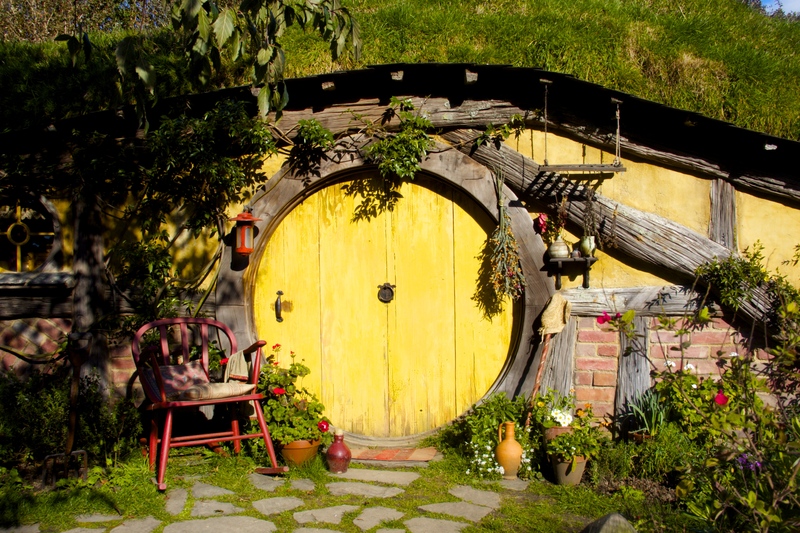 The hobbit holes are all different sizes, craftily constructed in order to force perspective— that is, to make the hobbits look small and Gandalf look large. Bag End was repeatedly rebuilt in the same location in order to accommodate the height differences between Gandalf and the hobbits. When one of my fellow tourists asked why they had to rebuild Bag End so many times instead of just making two differently sized holes in comparable locations, our guide explained that it was actually the movie’s super-fan base that had forced them to do it, in an effort to prevent nitpicky fans from creating websites citing inconsistencies or flaws with the set design or sequencing in the films. I don’t want to ruin all the fun facts for anyone who’s interested in doing the tour themselves, so I’ll leave you guys with that! We took a brief pitstop at Bag End, long enough to re-enact a scene from the movies and share a little more trivia. Unfortunately, we couldn’t go into the hobbit holes, as most of them were only two or so meters deep and had been closed off when the crews finished filming. We could, however, go into the recreated Green Dragon at the end of the tour, which definitely made up for not being able to see what the holes had been like during filming. The interior was beautifully done, and our tours included a free drink of ale, cider or ginger beer at the end. 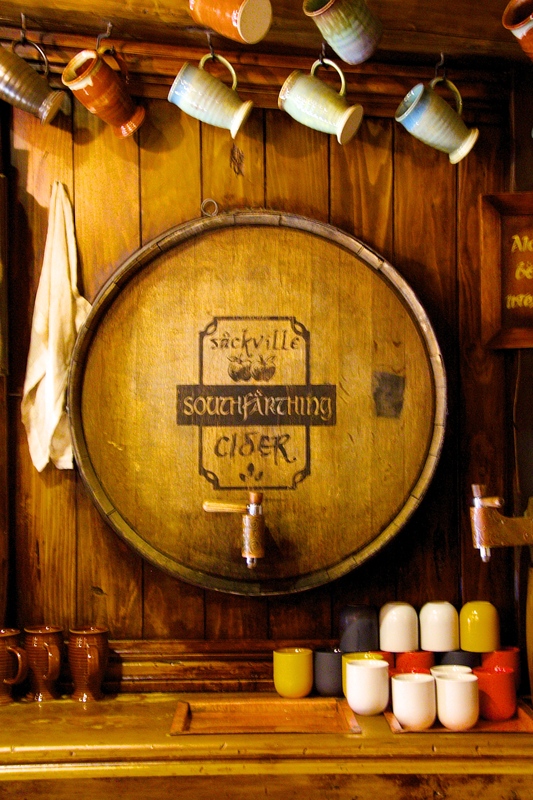 I opted for a cider, and lavished in the idea of getting to have a pint in the idyllic pub from my favorite childhood stories. After a few more minutes we left the Green Dragon and went back to the bus, which drove us out to the visitor’s center and souvenir shop (and one last opportunity to go to the bathroom) before we drove the 45 minutes back to Rotorua. Even though it was only a short day trip, it was one of the coolest/nerdiest things I did in New Zealand, and I had so much fun learning about the production, the set and the films. All in all it was a great way to spend an afternoon, and I would probably even do it again if I get the chance! Value for Money: High value for me because I love the books and film, but maybe less so for someone who isn’t as interested. 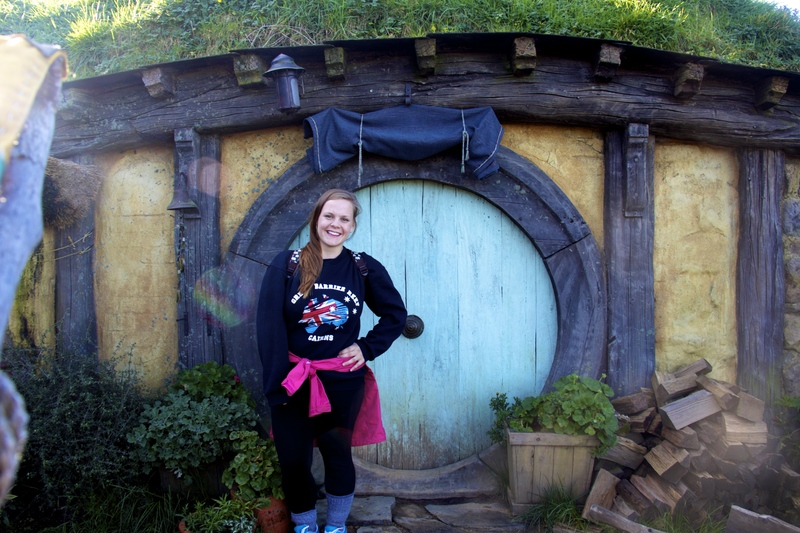 Recommend: I would highly recommend this activity for anyone who loves The Hobbit, The Lord of the Rings, movie sets, and/or people who want to experience something a little bit different in the New Zealand countryside. Previous Post City Guide: Budapest! That’s so awesome. It’s on my bucket list too!! as it should be! It was such a good day and such a beautiful location!